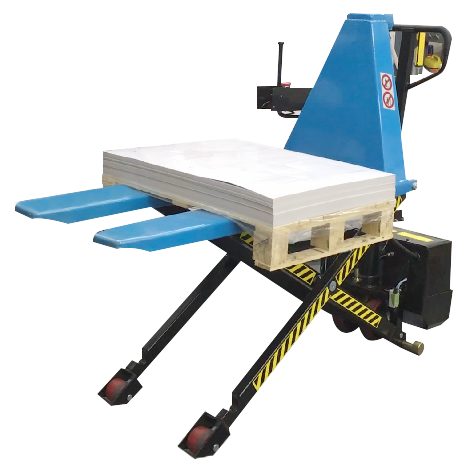 Able to process a wide variety of designs and cut the cost of making blanking dies. 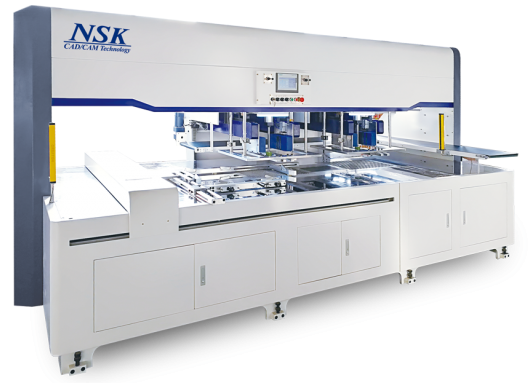 Matching short-run production with high-precision blanking is now a reality. 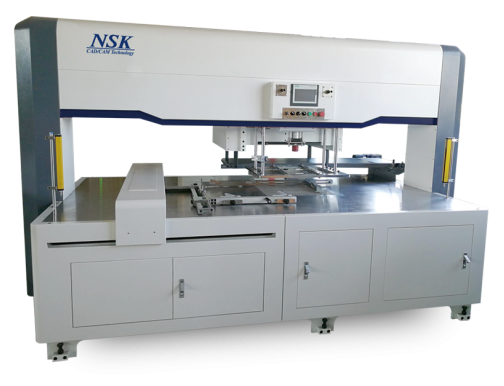 The Multi Blanking Machine series is designed for short-run production of packaging, cards, mounts, and labels. In addition to a strong body to maintain stability, the servo motors and the ball-screw drive system make high levels of precision possible. 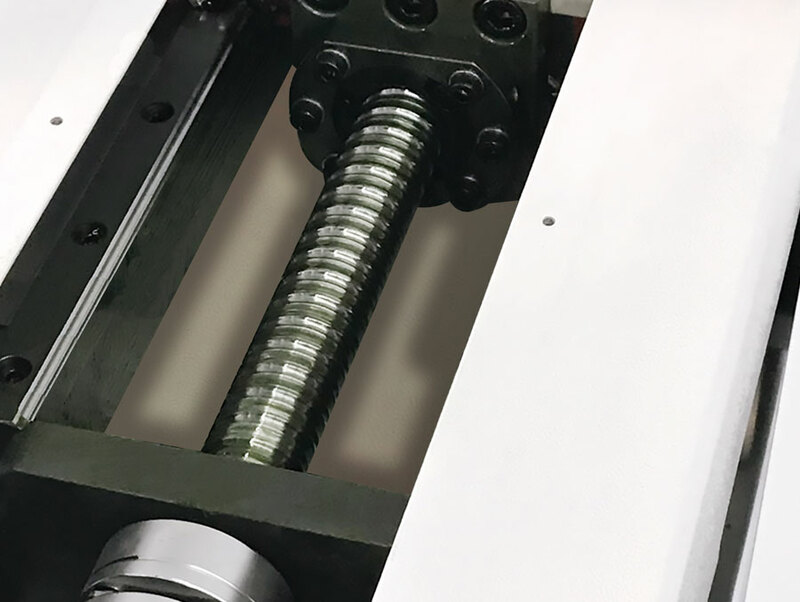 The MBM has a powerful blanking pin system which provides high stability blanking by simply inserting the pins into the machine, and a frame that can be easily adjusted for any size by adjusting the frame screws. 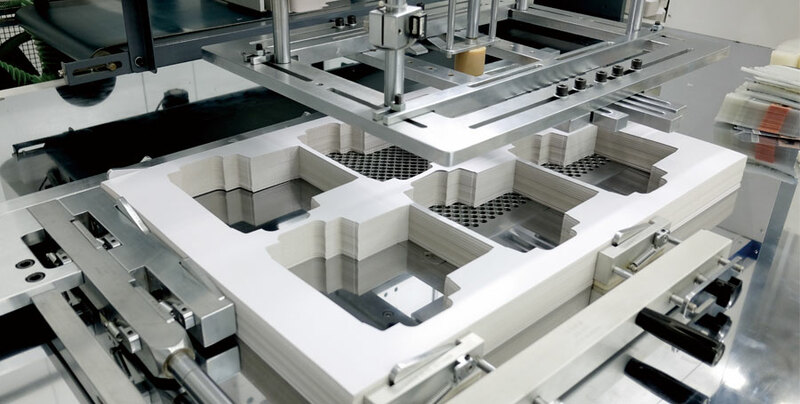 These two features allow the machine to flexibly handle a variety of blank shapes and sizes without the need to make separate blanking tools. After the blanking material has been picked up, the sheets automatically slide into place, and blanking is performed efficiently. *Platform Movement System available on SH300 and TH540 only. 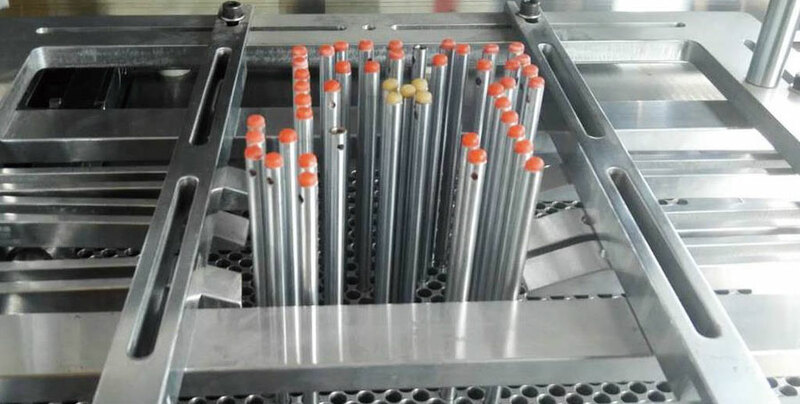 By simply arranging the pins, the MBM can blank a variety of product shapes and sizes. *Extrusion by pins only on SH540 and TH540 (Material Movement System) models. 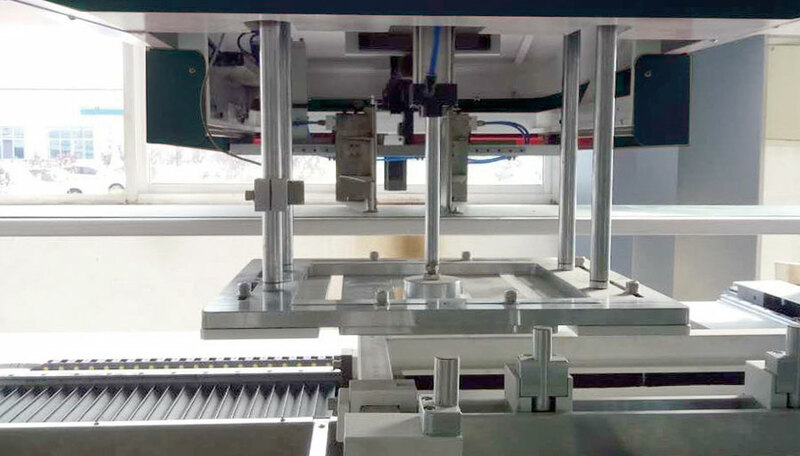 By using the Ball-Screw and LM Rail Drive Systems, blanking precision with smooth and quiet operation is realized. 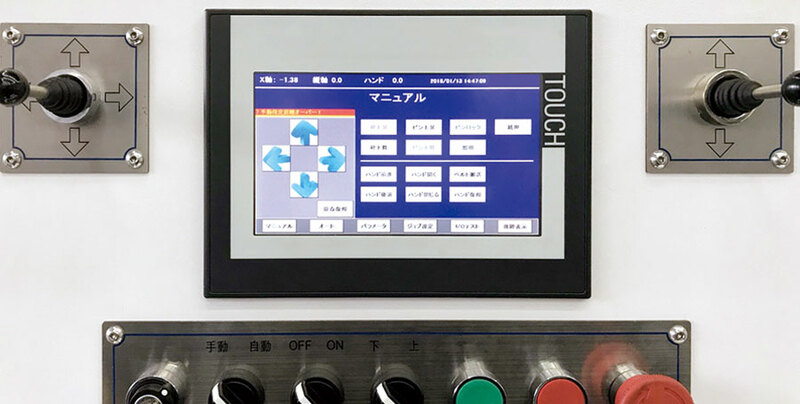 The easy-to-understand interface and control bar increase efficiency through controllability. Material raising and lowering functionality. 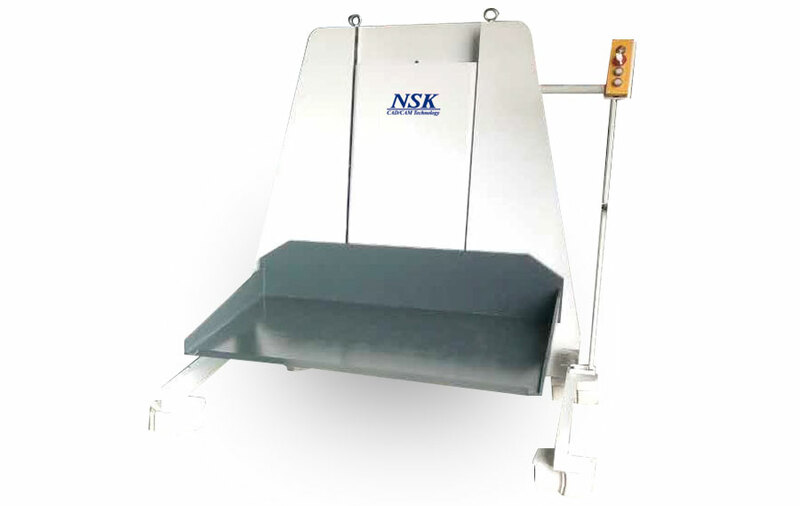 The hard work of lifting materials is made easier using the loading feeder, which can move up and down automatically. A single-head model for blanking straight-type, fixture-free designs. The machine is easy to operate. 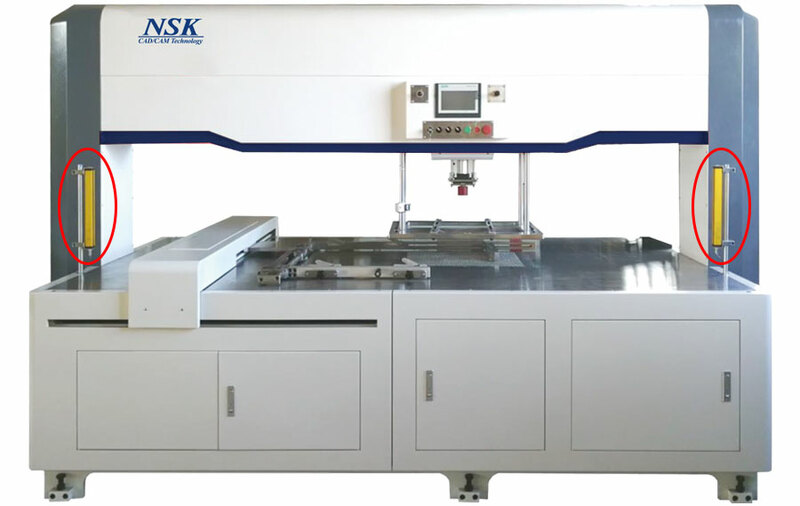 A twin-head model suited for blanking designs with nesting and fixtures, and for designs needing setups with different patterns. Its strong point is its flexibility to accommodate various types of designs. ∗0: If Conveyor Belt option is selected, add 300mm to the back of the machine and 450mm to the front. ∗1: Custom Max. Blank Sizes are possible. Please contact us for more information. ∗2: If Automatic Pickup and Conveyor Belt are included, power consumption will vary. ∗3: Depending on the shape of the blanks, the platform movement method may require a different shape to be made. ∗4: Please contact us for information about Platform Movement Type on the TH540.